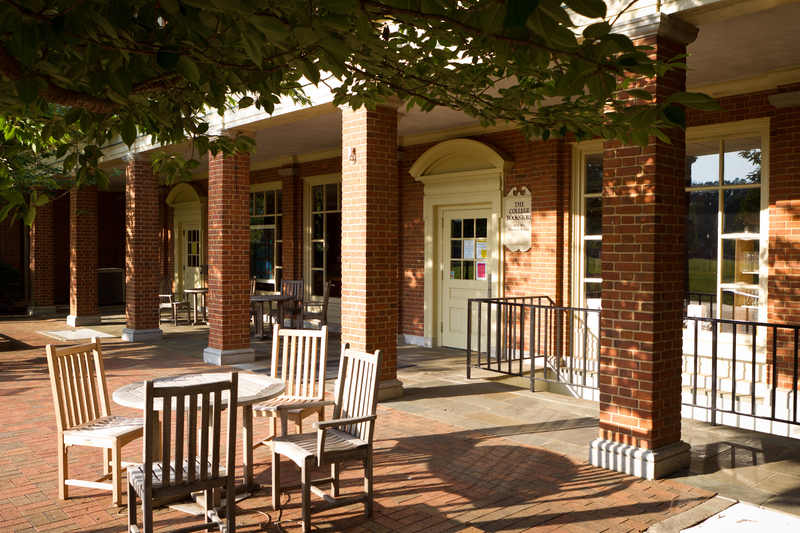 It continues to be hot on campus, but if you enjoy dining alfresco, this is about as nice a spot as any. It’s the Quad right outside of the bookstore in Taylor Residence Hall. For new WF families, the bookstore is the place to go for textbooks, but it also has a vast range of school supplies, art supplies, greeting cards, hardbound books, paperbacks, CDs, jewelry and other gifts – and more. There is also brewed Starbucks coffee, so many a morning you’ll see students who live in Quad residence halls stopping in for the morning coffee on the way to class. Construction continues on the new Farrell Hall. Most of the work right now is actually demolition. They are taking out some of the currently-paved street and parking lots to make way for the equipment coming in. There is lots of dirt and dust, and bulldozers and other heavy equipment on the northeast part of campus. Our summer camp students will begin arriving soon. There have been WFU sports camps taking place (and I have heard from multiple friends that they saw one of our All Time Greatest Deacs, Randolph Childress (’95), on campus this weekend to watch one of his sons play at basketball camp. If you are a Wake Forest fan and you’ve followed us since the ’90s, Randolph was one of the most exciting players to watch. A point guard with a steely facial expression and a beautiful, deadly three point shot, he brought poetry and magic to the Deac teams of the mid-90s. He and Tim Duncan were a 1-2 combination that few could beat. Go Deacs!